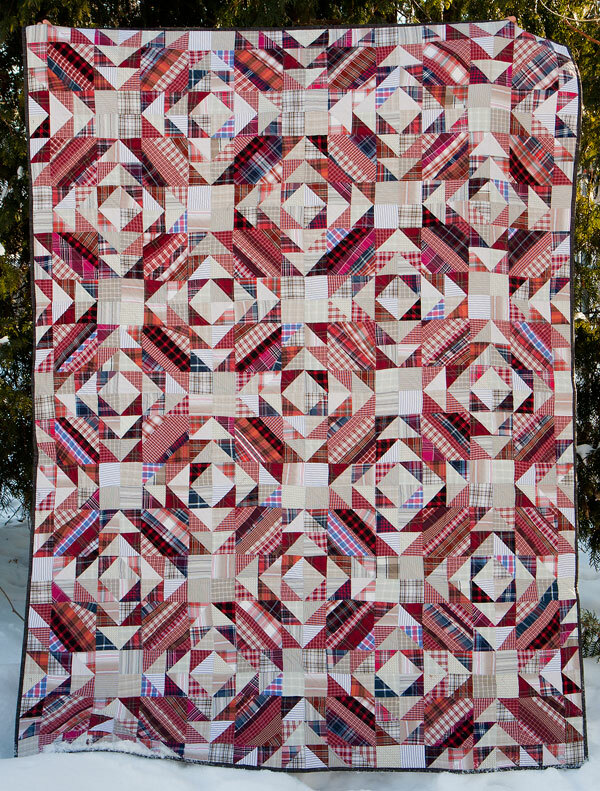 This quilt is entirely made (except the binding) with upcycled men’s shirts. It started out as Bonnie Hunter’s Orca Bay pattern, but somewhere along the way, I decided that I just didn’t want to finish it. So I was trying to figure out what to do with all the red plaid string blocks that I’d already made, and in the same book (String fling) I found that by slightly modifying the “Wild Child” pattern I could re-use them! Once that was settled, it came together in just a couple of months. This quilt went to my middle son, whose favorite color is red.